When I write, I want to write quality articles; articles which interest, amaze and inspire. Mediocre content annoy me. If ever I write something which I consider of low quality, I never publish it – I will either review it or scrap it. I want to make a difference in the world, be it a small or big difference (I would prefer big) I have to start on a personal scale. If I can improve your life by changing the way you think and feel (for the better), and enriching your knowledge and understanding, then I am doing my job. I love reading Jonny’s posts every week, they always interest me and many have inspired me to make (usually small) changes in my life and have often caused me to write something myself. Jonny posts once a week, on a Thursday – with the odd exception. Would he be able to post such great content if he posted twice a week? What about three times? I don’t know. I am not meaning to pick on Jonny, once a week is just great and very appreciated. One day Jonny will stop writing as often, and one day he will stop writing all together. I hope that day is a long way off, and by that time I have no doubt that we will have other writers writing the quality and quantity of content that he writes. The same goes for me. I get a lot from blogging at the moment, I love the researching and crafting process that goes into making an article, and I also love the responses. But one day I shall probably stop too. Think about your favourite TV show, how often does it air? Usually (with exceptions) the best shows/series take months to produce and don’t launch every day/week of the year. Blogging is the same. I want us to post 6 great articles a week. Jonny gives us one of those posts. I am usually able to provide another, and we often get the third from another writer – like Steve, Ron, Alan or another writer. Usually we only post 4 or 5 articles a week, and that’s fine. I would like to post 6, but would rather post 4 quality articles than 6 mediocre ones. Blogs that post less often, usually don’t have such a great readership. It’s a fact. There are exceptions of course. What would a news site be, if it only published once a week? If I was able to monetise Technology Bloggers so that I could run it as a business, then I could dedicate more time to it, as it would become a job, not just a hobby. Don’t get me wrong, sometimes we do host the odd bit of sponsored content, to help pay the hosting bills, and fund competitions, but this site is never going to make millions. I am not sure I would still want to blog, if it was solely for money though, so I don’t want to monetise the site. So, here is the dilemma I have: produce okay content, daily; or produce quality content, less often. I want to post 6 articles a week, only 3 are provided, who plugs the gap? Usually me. If I don’t I feel bad, as I don’t feel I have fulfilled my duty to the site. If I post the extra posts needed, but they aren’t quite as good as content I have produced before, I am angry that I let the posts go live. There is a very fine balance which needs to be struck, and I am not sure I am there just yet. Would you prefer to read 5 star articles once a week, 4 star articles twice a week, or 2 star articles daily? The reason I am writing this is because I feel we had a great 2012, I had a great 2012 as a blogger, especially in the last few weeks. That said, I know my diary for 2013 is already looking pretty full. Friends, family, education, work and recreation all take a lot of our time, and rightly so. However other commitments I have, do mean that I will have less time to write in 2013. Rest assured, I am not throwing in the towel and am going to continue to do my best to keep us up and running at full capacity, but there is a lot to do. If you want to help, I am more than happy to accept suggestions. I would love to promote more users to author status, and give everyone more control. Until recently I haven’t been as aware as I probably should have been of the Google update, which allows authors to claim authorship of their posts in the SERPs. I was recently talking about the blog in the (Google) Webmaster Central Help Forum, when someone suggested that we should use Google Authorship. I had heard of it before, but wasn’t 100% sure what it meant, or why we should take the time to adopt it. Google Authorship is a relatively new part of search results, whereby Google shows the (Google+ profile) avatar of a person next to articles they have written in the SERPs. This means that people know who wrote something, even before they visit the page. Google will not only give an avatar which it fetches from the writers Google+ profile, but it will also link to that persons profile. It might also provide additional information like how many circles the person is in. See the image below for more of an idea of how it looks. How Can I Claim My Posts? If you run your own blog, and you are the only person who ever writes on it, it is dead easy. Just add a link to your Google profile page with ?rel=author after it, and with the text being the same name as your Google profile, to your profile, or just every page of the blog. What if I Run or Am Part of a Multi-Author Blog? If you are part of a blog with multiple authors, it can get a bit more complicated. Basically, the admin needs to make sure that there is no sitewide Google+ profile link, as that could mess things up. Each individual author will need to either link to their Google+ profile with the tag rel=”author” on every post they write, or link to their profile page on every page they write with the tag rel=”author” and then on their profile page link to their Google+ profile with rel=”me”. 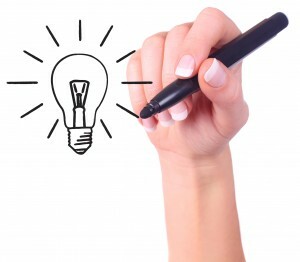 How Do I Claim Authorship of My Posts on Technology Bloggers? Recently I have been very busy tweaking bits of WordPress’s code, in order to make it as easy as possible for you to claim authorship of the posts you write on Technology Bloggers. There are three really simple tasks you need to complete. 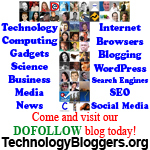 The first is to go to your Google+ profile ‘About’ page and under ‘Contributes to’ add Technology Bloggers – http://www.technologybloggers.org. The second step is to copy your Google+ profile URL and paste it into the ‘Google+ Profile URL’ box on your WordPress admin profile page. Finally in the box below (‘Google+ Name’) add your name as it appears on your Google+ profile. That is it! The blog does the rest of the work for you, and adds a link to your Google+ profile to your writer profile page. A screenshot of the data you need to fill in on your profile, in order to claim authorship of your posts on Technology Bloggers. If you don’t have a Google+ profile page, your link will just direct to your WordPress profile page. Not sure what I mean? Don’t worry, if you don’t have one, nothing bad will happen! I have updated the post guidelines to include a section about how to link to your profile, however this article probably has a more detailed explanation! If you are still confused about rel=”author” and rel=”me”, look at it this way: rel=”author” lets search engines know that the URL with that tag in is pointing to your author profile, be that WordPress, Google+, about.me or another; rel=”me” lets search engines that the URL with that tag in is another website/profile/blog etc. that is yours. To see the Google Authorship in action you will have to wait a while for Google to index the pages and register the authorship. To check that your code is working okay and that Google can find your authorship, try using Google’s Rich Snippets Testing Tool. For more information on Google Authorship, please check out Google’s help article on it. Are you doing your bit for the blog? Yesterday Jonny, one of our authors, emailed me to let me know about the post he had written on the site he writes for (the Bassetti Foundation) where he wrote about the community awards he picked up, praised the blog and talked about and linked to the posts he has written for us. Jonny asked that I promoted the idea of the community a little bit more through an article, which is exactly what I am going to do! The three keywords there are contribute, benefit and community. We are a community blog, designed in such a way that everyone is able to benefit. If everyone is helping to improve the blog, the better the blog is, therefore the more we all benefit. Basically the more we all put in the more we all get out. I really do try hard with this blog, I give it my all, and I feel that if we all did a tiny bit more (like Jonny has) we could make this blog so much better – and it is already really good! A better blog means more benefit for all! If all of our readers, writers and commenters (I know some of you are all three!) were to write a post like Jonny’s, more PageRank/link juice would be flowing into the blog. This would increase the blogs PageRank overall – not that a high PageRank is anything to really fantasise about. If the blog is of a higher PageRank, more flows back to all those commenters and writers who have links on the blog, therefore they get an increase in PageRank too – a benefit directly derived from Technology Bloggers. PageRank is maybe not the best of examples, so let me give you another example, using traffic. If you write about the blog, include it in your bio, tweet about it, post about it on Facebook and generally share it via all your social internet channels, then the blog’s traffic will increase. More people (traffic) means more people reading the content, more people commenting, a bigger, better and stronger community, more opportunities, more articles etc. it also means that for those writers who are adding AdSense to their posts (like Alan) the chance of making more money increases. More people means more articles getting read, so writers are getting better exposure/greater publicity. Commenters links are more likely to be followed etc. 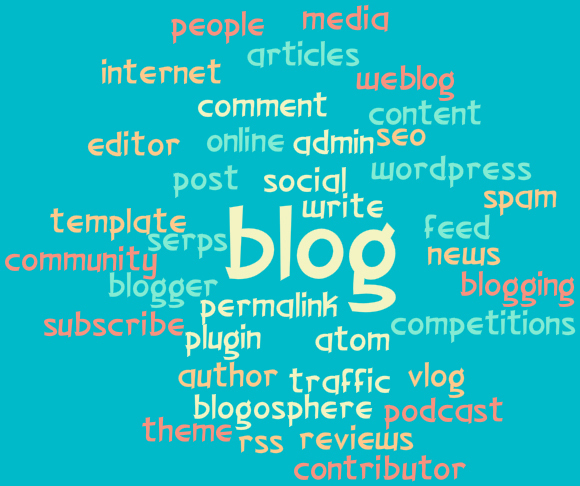 Having a bigger, better blog and community, make Technology Bloggers a stronger brand. 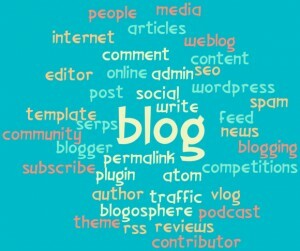 This means that your association with the blog is a greater benefit for you. Saying you are a writer for TechCrunch brings you a lot of credibility, due to your association with the strong brand, we can make Technology Bloggers like that too! The bigger we get, the more everyone involved gets out of the blog! 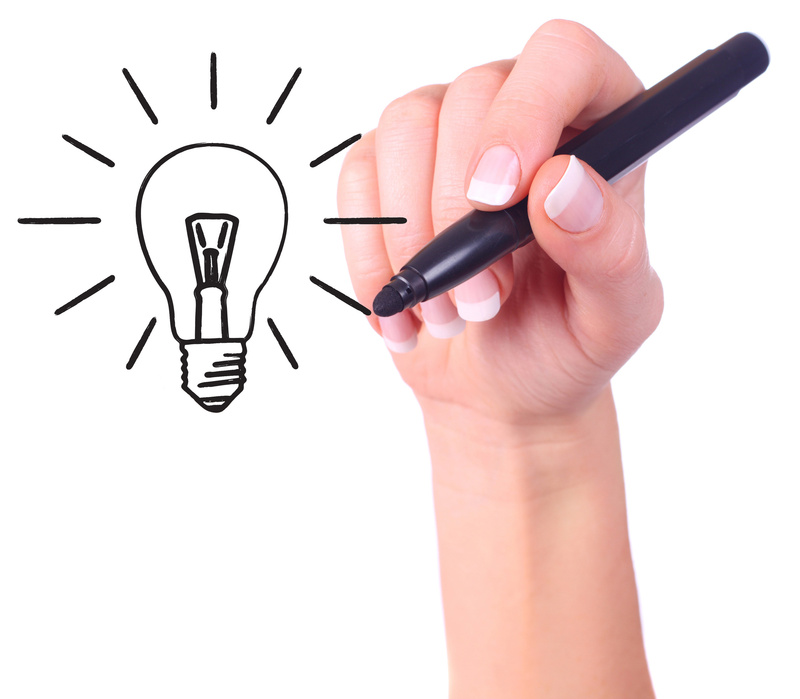 So what can you do to help your blog? The answer? Help us by promoting the blog further. We have a great community here, loads of fantastic writers, writing brilliant content daily, so what we really want to do now is expand, and to do that, we need to help more people find out about us. Why not tweet if you read an interesting article here, also, if you can +1 it, share it via Facebook etc. please do! 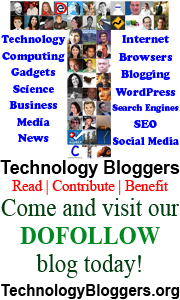 I am part of the great dofollow community over at Technology Bloggers (www.technologybloggers.org) why don’t you come and join me? 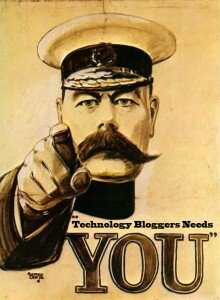 Why not check out the great dofollow community over at Technology Bloggers – www.technologybloggers.org? Like us on Facebook, follow us on Twitter, share our articles! If you are a blogger why not add us to your blogroll, or page of favourite sites? Why not add a link to us into your bio? You could even write a post like Jonny has done. a smaller version – more are available, just contact me 🙂 show off that you are part of the community! If I was a normal blogger, that might have seemed like a very needy plea for help to improve our traffic (which is already very respectable) however I am not, I am a member of a community blog. That is the difference, I am doing this on your behalf. You reading this are going to benefit (hopefully!) from this article, through the communities (that includes you!) response. What are you going to do to help the blog? Let us all know below! If we get enough people writing about what they have done, I might write a post promoting those people! Technology Bloggers – a community blog from which we can all benefit!